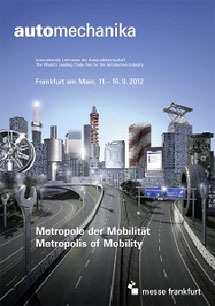 Automechanika 2012 Frankfurt ends with success. It was a pleasure for us to welcome many Japanese visitors at our booth stand. We would like to address our thankfulness again to our customers for coming such long way to Europe. 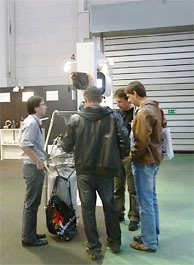 At exhibition, we could reserve advantageous place in Hall 8, where many visitors were passing by. 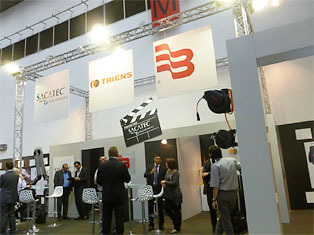 We are honored that many of them seemed to be attracted by TRIENS products and dropped by our booth. As you may see on the picture, our booth design was based on white color, our black cover reel products like W series and T series made good contrast with the booth color. Also, we are so pleased that all visitors could realize how TRIENS products were in high quality by pulling the hose and cord, and by touching the body cover. On the other hand, we believe it was a great occasion for us to listen to our clients’ voice directly. We TRIENS Sankyo Reels, Inc reconfirmed our policy: to produce high quality and reliable products to be a global company. You can find all notices on exhibition on this web site. We are looking forward to seeing you next occasion.